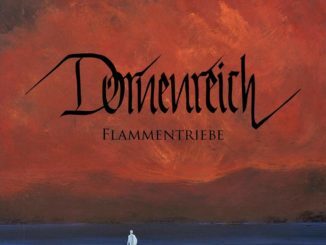 In this album, in some continuation to the previous, Dornenreich’s music reflects the structure of a dream. The passages, turning from bleak and blur dark metal to soft Neo-Folk, laced with delicate touches of Ambient, are the perfect embodiment of the thesis. Dreams can manifest all sorts of happenings and Dornenreich deliver it through sounds and words. Aside the dreamy affect, the music is an ode to nature. 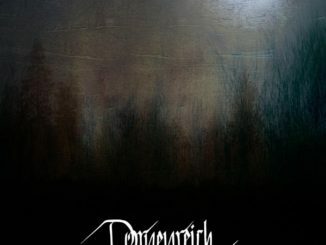 Yet unlike other metal bands who dedicate their creation to the creator’s masterpiece, Dornenreich enhanced several dimensions that separate their music and keep it solely unique. Dream, nature and man’s mind, all is inside; all can be found outside it. Another important part of Dornenreich’s music are the lyrics, rather poems. Like in the late period of Empyrium (one of the crucial influences of the band), the words use pure poetry in order to strengthen the depth of the world being created in every song anew. Though in German (and sometimes in Tyrolean dialect), its musical structure and rhythm are hung like a pearl on a necklace. Of course, the poems manifest the dream world, in which the poet lives, goes through different doors – all lies in the mountains of Tyrol, spawned with magical atmosphere, dark and bright at the same time. Dornenreich’s creation cannot be separated into music and words – this is a holistic approach, one world, wrapped through itself. Creations such as this aim to build a new and strange world for the listener, and it aims directly into the heart and stomach. Dornenreich made me want to embrace nature, to let it enfold me, when all I’ve got is the music. Just as the feeling I had, standing in front of those very mountains and saw the dream itself, I felt how I can hold the beauty that surrounded me, as the acoustic guitars and their heavy sisters lured me into wanting to live through eternity, for this dream. Eviga is a gifted vocalist – his screams can freeze one’s blood, his whispers are chilling and his clean voice is a horn of raw feelings, deep, soothing and comforting. He’s also a talented guitarist, and a composer that craft enchanted melodies that serves any given dimension in music. Four long tracks, designed to be walked as journeys, where every time something new and profound can be discovered. 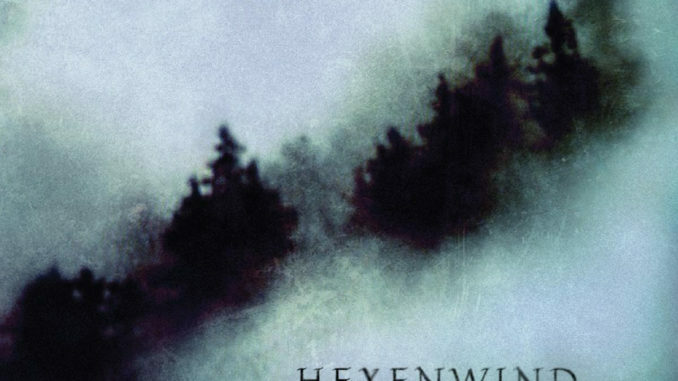 “Hexenwind” delivers the peak of Folk melodies, as heard in the previous albums within the Black metal arrangements, since the songs are built on pure acoustic foundations. Unlike the previous efforts, the songs appearing here are the longest so far. This album is not to be taken easily, though at times it may sound somehow soft and silent. The atmosphere is cold yet not sterile and close to the skin, shivering with the winds, blowing through the landscapes to the listener’s body, from mind ’till feet. When life is all but dream, Dornenreich proves differently.